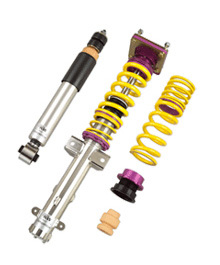 Looking to rake your Z4 / M Coupe suspension to the next level at the track? You've tried the rest and now KW is offering you the BEST! Clubsport is getting more and more famous world-wide. Therefore, KW has decided to develop a new product line – KW Clubsport. This new product line is distinguished by motorsport applications for race track and road use with ideal performance.